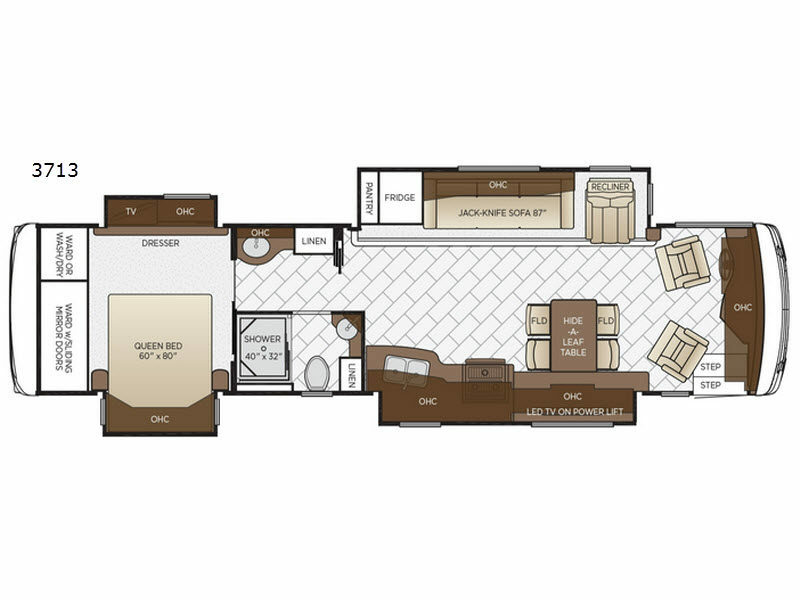 This Ventana LE 3713 offers a comfortable and luxurious home-on-wheels that you can travel the countryside without missing any of your amenities at home. Beginning with the kitchen, you will have everything you need to prepare and cook meals, to the master bedroom with plenty of storage and an LED TV, you will find what you need and want around every corner. Just imagine relaxing on the 87" jack-knife sofa, the recliner, or the swivel captain's chairs while watching the LED TV on a power lift. Your spouse might even be playing cards at the hide-a-leaf table. 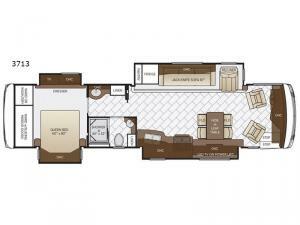 Come see many other highlights like the space saving doors, the second bathroom sink across from the full bathroom, and the exterior awning.